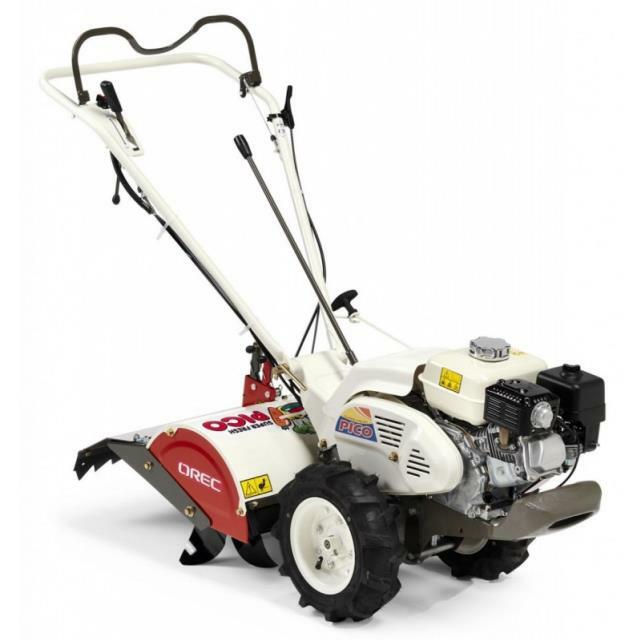 TRAVEL SPEEDS, 1 FORWARD TILLING SPEED & 1 SPEED REVERSE. WITH HONDA GX200 6.5 HP ENGINE. UNIT IS 67" LONG, 23" WIDE & 38" HIGH. WEIGHT: 185 LBS. ADJUSTABLE OPERATOR'S HANDLE & DRAG BAR (DEPTH CONTROL). SIMPLE OPERATION WITH ONE CLUTCH LEVER. LOCKING DIFFERENTIAL FOR STRAIGHT FORWARD TILLING. 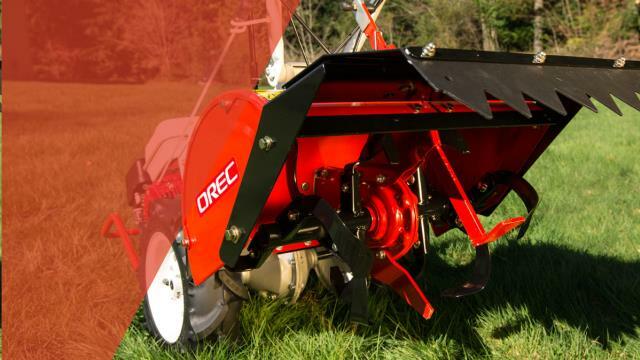 * Please call us with any questions about our tiller orec 6.5 hp 20 inch wide rentals in Old Town ME, Milford, Bangor, Pea Cove, Eddington, Bradley, Orono, Bangor ME.